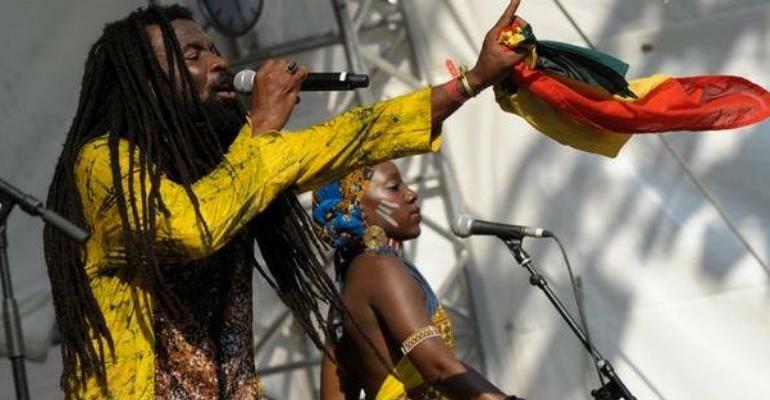 US-based Ghanaian reggae artiste with international recognition, Rocky Dawuni is billed to perform at the second edition of the annual 3 Music Awards scheduled for Saturday, March 30 at the Fantasy Dome, Trade Fair Centre in Accra. Rocky Dawuni, who is currently in the country on a short visit, is expected to thrill fans with most of his award-winning songs such as 'African Thriller', 'Rock Your Soul', 'Walk The Talk', 'Road To Destiny', among others. The international reggae artiste will rock the stage alongside some selected home-based artistes like Shatta Wale, Kidi, Kuami Eugene, Wendy Shay, Adina, Joe Mettle, KODA, Medikal, Victor AD, Joey B and Akwaboah Jnr. Organised by 3 Media Network, this year's awards ceremony is expected to attract Ghana's musicians, stakeholders in the music and movie industries and a cross-section of the general public. The awards ceremony is being organised to reward Ghanaian musicians, songwriters and producers for their contribution to the growth of the industry. It also seeks to encourage a large number of musicians to come out with more quality musical works to educate and entertain music fans. The first edition was held on March 24 last year, and it saw the late Ebony Reigns grabbing her first posthumous award. On the night, Shatta Wale was adjudged male artiste of the year while his smash hit single 'Ayoo' received the song of the year. Patapaa's smash hit single 'One Corner' won the viral song of the year at the event. It witnessed spectacular performances from Shatta Wale, Stonebwoy, Obibini, Teephlow, Joyce Blessing, Joe Mettle, Sista Afia, Gallaxy, Kumi Guitar, Kurl Songx, Ex-Doe, Chicago and a host of others.